The limping queen of Dumduma was the center of attraction during my last visit to Bandhavgarh in April. 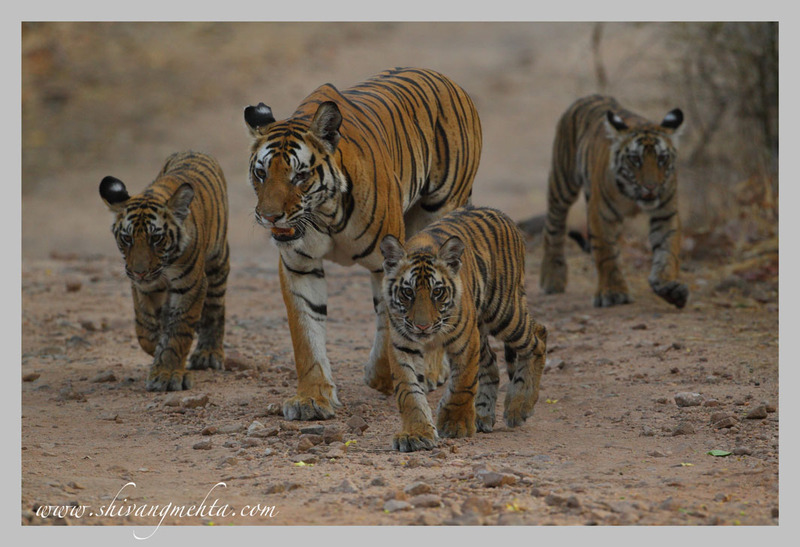 I managed to get the first photographic record of this tigress who marched from the Dumduma chowki right up to the Nigaha waterhole – a favorite summer spot for her family that comprised 2 cubs. The guards informed me that apart from these 2 cubs the 2 cubs of her previous litter were also around the mother and have not separated fully. This seemed to be quite a phenomenon to document from a photographer’s perspective. 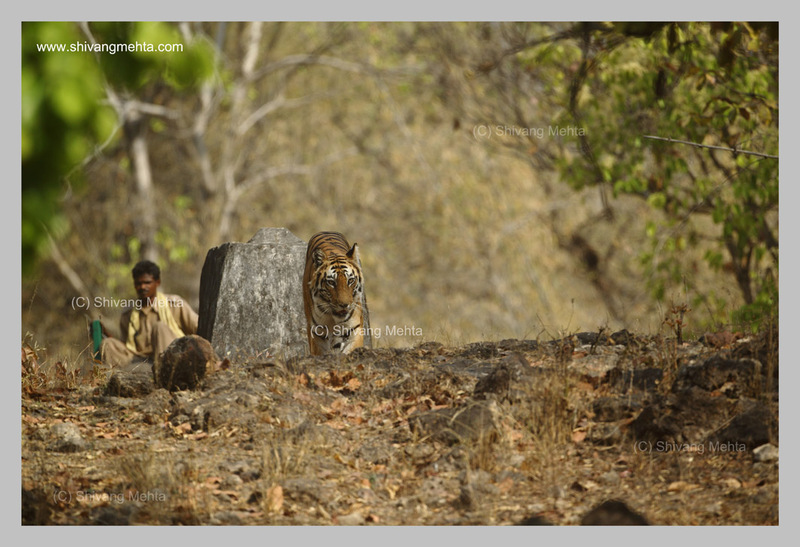 I came back to Bandhavgarh within days to explore Dumduma at length. But while I was away things around Dumduma were not the same. The news of the tiger sightings spread like wild fire and slowly the unknown waterholes and areas of Khitauli which I explored just a fortnight back were known territories for the tourists. During this period the tigress was also treated for her sore foot at her hotspot Nigaha waterhole. Despite the apprehensions I decided to take the risk of going for 10 straight rounds of Dumduma. Morning, noons and evenings passed as I spent hours and hours in the parched waterbodies of the area. The presence of the family could be felt for I saw their pugmarks all around. However the tigers that were not used to human presence were disturbed while I was away. Foot patrols by the forest department are necessary but at times the patrol guys foolishly sit at waterholes observing a tiger buried inside caves in the pretext of ‘observation’. My Dumduma expedition is still not over but it has reinforced my belief that the striped cats are highly sensitive to human pressure. Slight disturbance and the cats are very quick to respond and alter their behavior by either leaving the area or changing their timings.